Top 10 Holland America Cruise Deals Not To Miss! Holland America sails to every continent and has exciting itineraries for all corners of the world. Here are the top 10 best Holland America cruise deals. 1. Holland America Alaska cruise tours are a great way to take in the majesty of Alaska. The 7-night roundtrip from Vancouver cruise is on sale from only $849pp., a savings of 50% off! This tour goes through the Inside Passage, Tracy Arm Fjord, and stops in Juneau, Skagway, Glacier Bay National Park and Ketchikan. 2. Anchorage-Vancouver is also on sale, with an oceanview room starting at just $799pp. for a savings of 64%. This 7-night one way trip includes Glacier Bay National Park, Haines, Juneau, Ketchikan and the Inside Passage. 3. Canada cruise deals include the 13 night cruise where an oceanview room is only $799pp., saving you 72% off. This cruise departs Quebec City and stops in Saguenay, Saguenay Fjord, Baie-Comeau, Charlottetown, Sydney, Halifax, Bar Harbor, Boston and Newport before heading to Ft. Lauderdale. 4. Australian cruise deals include the amazing 15 night escape from Perth to Sydney. This trip starts from just $1,199pp., saving you 64% off. Stops include Albany, Esperance, Port Lincoln, Adelaide, Kangaroo Island, Melbourne and Burnie and Hobart in Tasmania. 5. Another Australian Holland America cruise deal is the 14 night journey roundtrip from Sydney, Australia. Starting at just $1,199pp., saving you 62% you can have up to two additional passengers at $199 each when they share a cabin with you. This cruise has stops in Brisbane, Hamilton Island, Mackay, Lifou, Ile de Pins and Noumea in South Caledonia. 6. 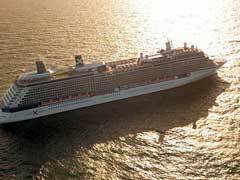 For European cruise deals, look no further than sailing for 10 nights roundtrip from Copenhagen. From just $1,799pp., it is a savings of 50% off. This cruise hits such destinations as Tallinn, St. Petersburg Russia, Helsinki, Stockholm, Berlin and Kiel. 7. 16-nights cruise from Athens to Rome allows you stops in Cairo, Jerusalem, Haifa, Antalya, Marmaris, Ephesus, Olympia, Corfu, Korcula and Brindisi. Starting at just $1,199pp., this is a savings of 79% off the regular brochure price. 8. Holland America cruise deals that head to Hawaii are available like the sailing roundtrip from San Diego. Starting from just $1,399pp., saving 42 % off the regular price, this cruise is 14 nights long and features stops in Hilo, Honolulu, Nawiliwili, Lahaina and Ensenada, Mexico. 9. Touring the British Isles? How about the 12 night trip from Copenhagen to Amsterdam, now starting at just $2,299pp., which is 40% off. This cruise stops in Oslo, Bergen, Skjolden, Lerwick Shetland Islands, Glasgow, Dublin and Waterford, Ireland. 10. Holland America cruise deals also apply to their transatlantic crossings, like crossing combined with Caribbean and Canary islands where an oceanview room starts at just $3699pp., saving you 47%. This cruise starts in Ft. Lauderdale and ends in Rome with stops including St. Maarten, Tenerife, Las Palmas Grand Canary Island, Lanzarote, Casablanca, Tangier, Barcelona and Palma de Mallorca. Travel in style when you choose Holland America. They have the best itineraries for the best destinations the world over.